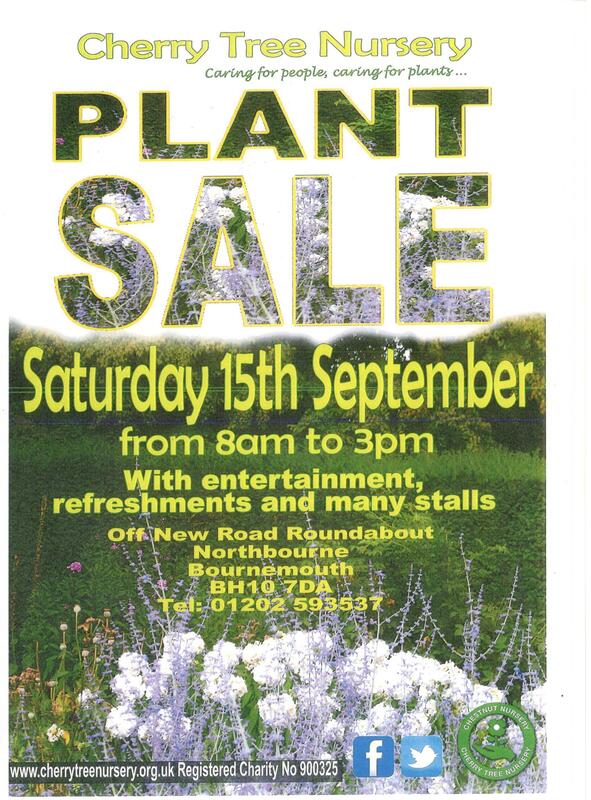 Our September Plant Sale and Autumn Fayre is coming soon. 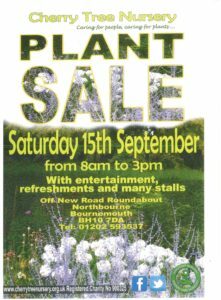 We will have many plants in 2 litre pots available at a special price. We will also have a cash only bargain bench. When it’s gone it’s gone! 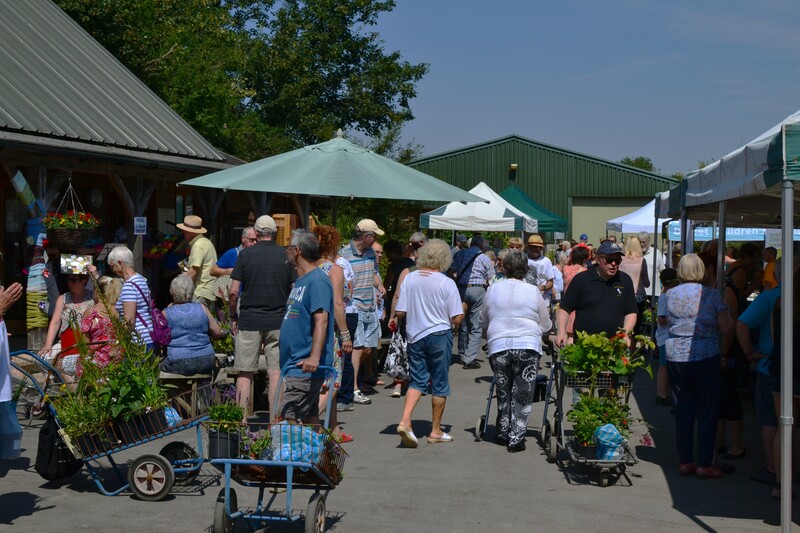 We have over 25 stalls including crafts, tombolas, refreshments, second hand books, shop produce and knitting. We have a raffle with top prizes including Cherry Tree Nursery vouchers , an official AFC Bournemouth signed football and much more! We will be open 8am to 3pm on this special day.